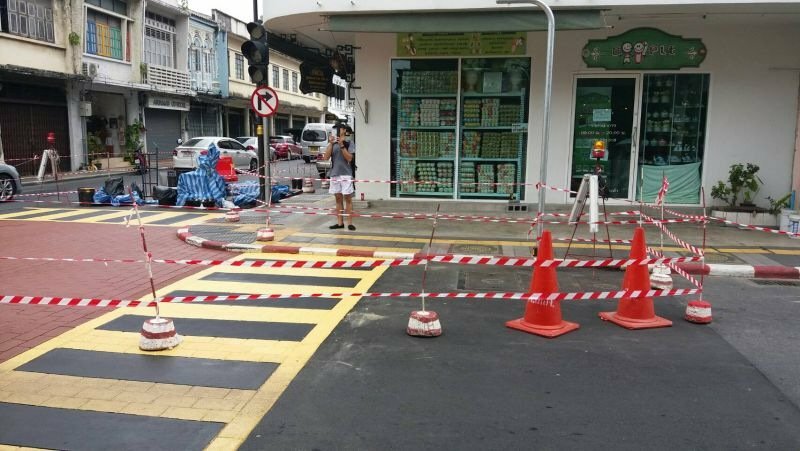 PHUKET: Phuket City Municipality has urged motorists to avoid key intersections in the Phuket Old Town area as workers carry out the town’s latest tourism-promoting project – the asphalt stamping of images onto the road surfaces to depict each area’s historical influences. The project is scheduled to be completed this month. 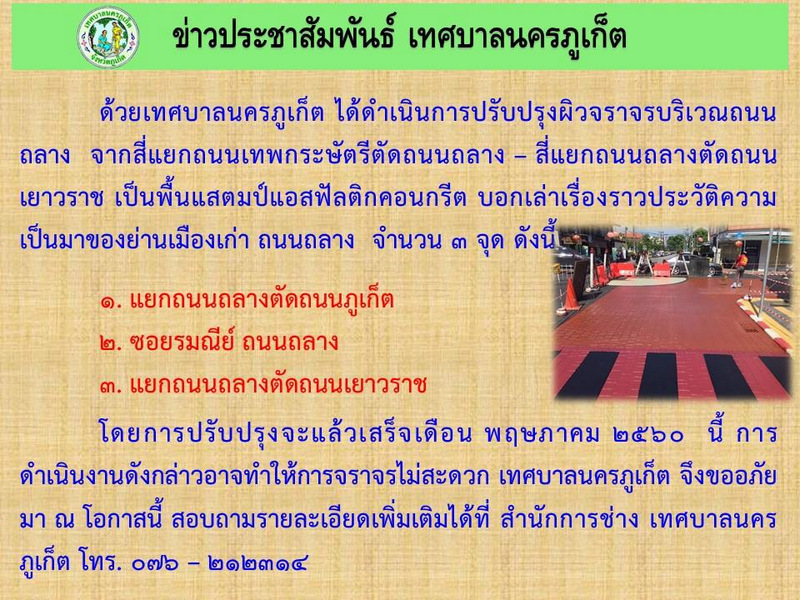 The intersections affected by the project are at the intersection of Thepkrasattri Rd and Thalang Rd; Soi Rommanee and Thalang Rd; and at the intersection of on Thalang Rd and Yaowarat Rd, Phuket Town Deputy Mayor Kawee Tansukatanon told The Phuket News today (May 9). 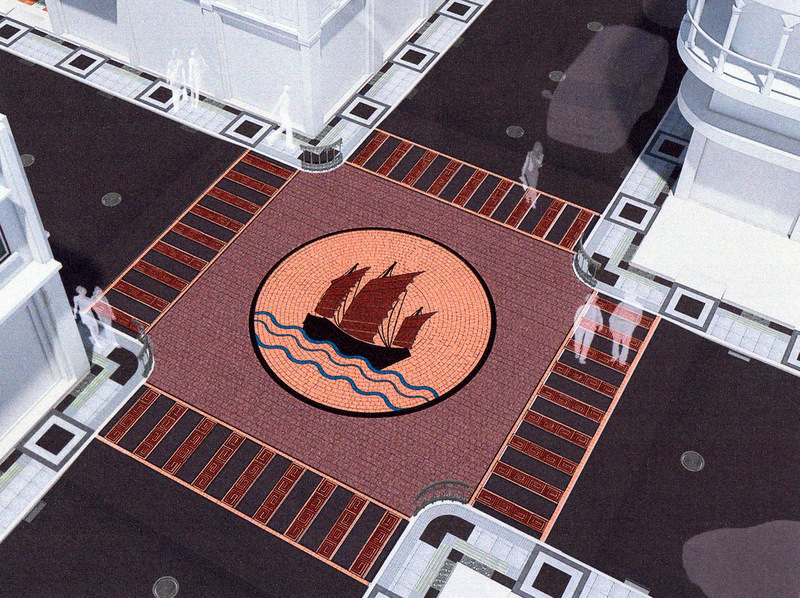 “Three different images are being stamped, using a method called asphalt concrete stamping,” he explained. 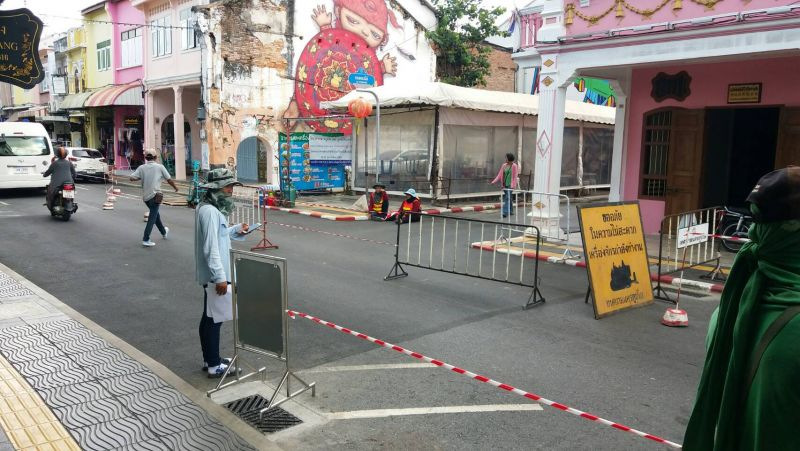 “The intersection on Thepkrasattri Rd and Thalang Rd will have the image of a Chinese junk, marking the beginning of Chinese traders who came to Phuket and travelled along the Klong Bang Yai canal and traded on Thalang Rd. 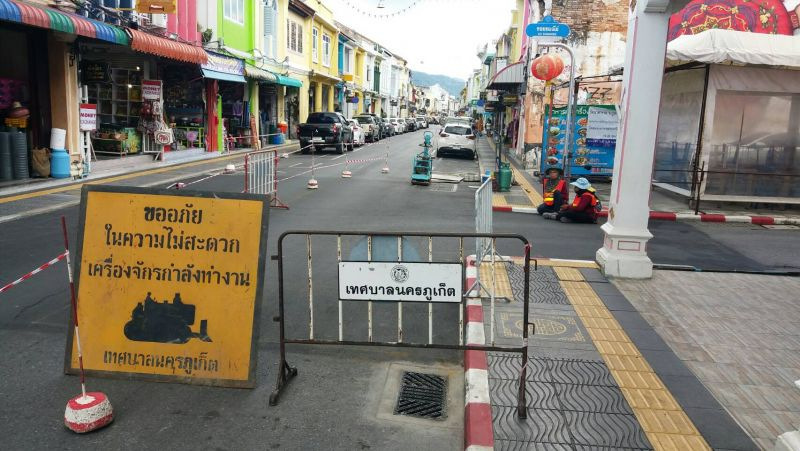 Of note, Soi Rommanee more than a century ago was renowned as Phuket Town’s red-light district. “At the intersection of Thalang Rd and Yaowarat Rd will be images of Sino-Portuguese shophouses to memorialise the flourishing city that was built in this style,” Deputy Mayor Kawee said. This style of architecture also marks the Chinese cultural influence of those who lived and traded in Phuket. 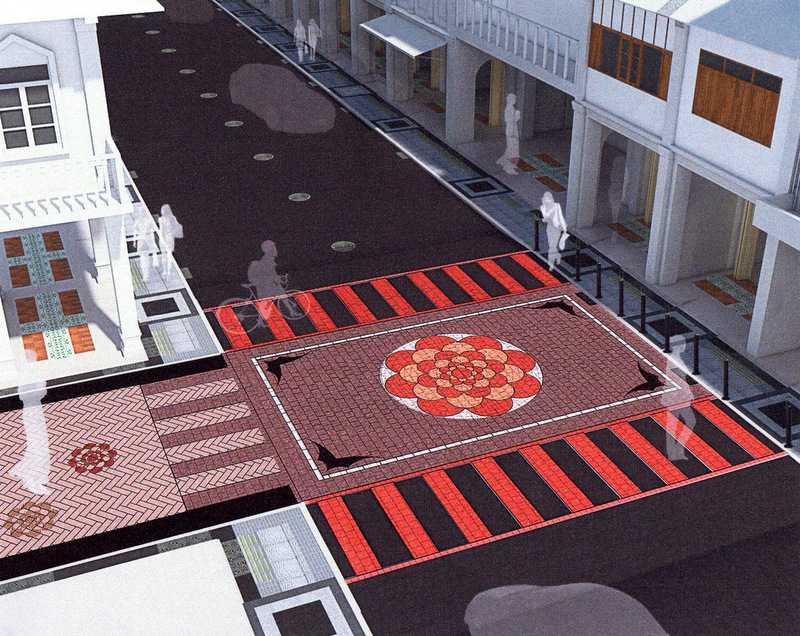 “The aim of modifying these roads is to support tourism in Phuket Old Town and to preserve the architecture and the history of the Old Town through interesting visual images,” Mr Kawee said. 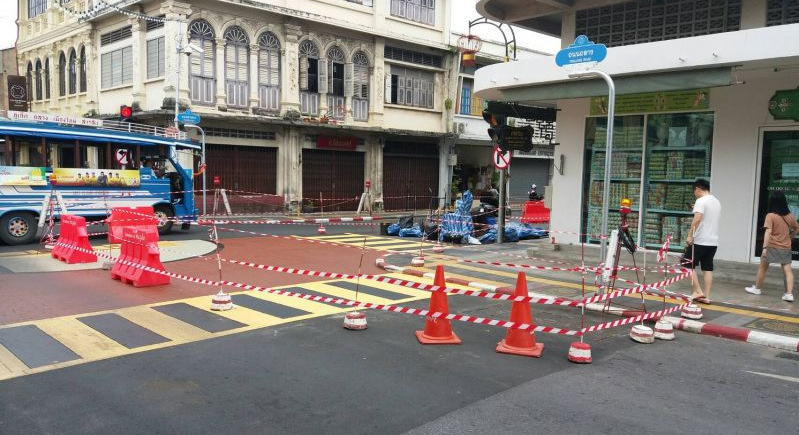 The works, which have been ongoing for about a week, and are set to be complete this month, have caused the partial closing off of Thalang Rd to vehicles. 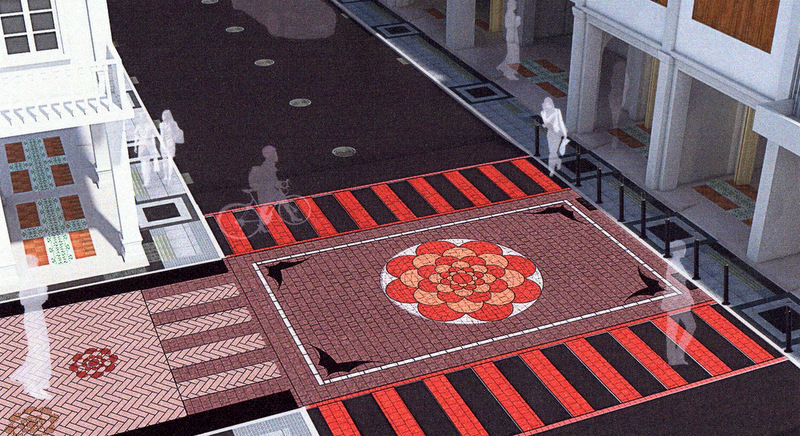 It's nice to see road projects that beautify the town. Phuket is doing something right.